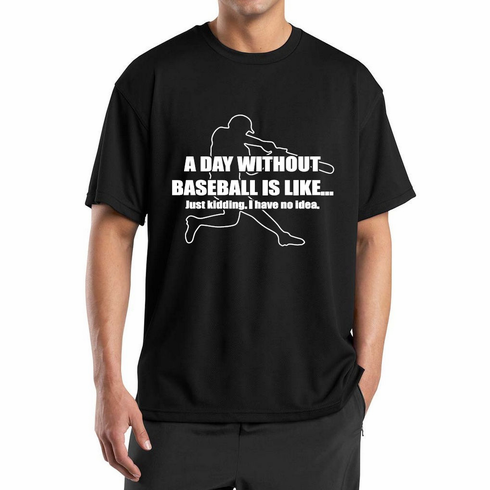 These baseball t-shirts feature the A DAY WITHOUT BASEBALL IS LIKE... Just kidding. I have no idea. graphics printed on the chest. 100% cotton.